Lollipop Bingo Review - 200% bonus on 1st deposit & spin bonus wheel! Unfortunately there is no promotional scheme available on Lollipop Bingo to assist us in advertising the site. As such we have provided you with an alternative called BoyleVegas, which is an impressive gaming site offering a great choice for any type of player. If you have a sweet tooth, then Mobile Bingo Bonuses may have discovered your dream online gaming site. Lollipop Bingo offers a fun, bright theme which gives you a sugar high simply by looking at the screen. But we’re not here for the graphics, we’re all about the games and on that you definitely won’t be disappointed. Whatever your heart’s desire Lollipop Bingo will have it, including 75 and 90 ball bingo, progressive jackpots, instant games and slots such as Fluffy Favourites and Shaman’s Dreams. The fact that many of these games are available on mobile and tablet devices, will add another exciting element. You are no longer tied to your desktop and can enjoy top quality games whenever you choose. £5 for each friend referred when they wager £5. When you register and make your 1st deposit on Lollipop Bingo, you’ll receive a 200% cash match bonus on £10. This means that you’ll have £20 extra, or a grand total of £30 to play with. They then allow you to spin the bonus wheel and win a guaranteed prize between £5 and a whopping £2,500. Finally as a new player you can enjoy 7 days of complimentary bingo, which is ideal if you’re new to online gaming. Play in the newbie room everyday between 8pm and 11pm, with the chance to win a share of the £3 prize pool. Don’t worry once the newbie bonuses are over, because Lollipop Bingo like to look after their regular players. 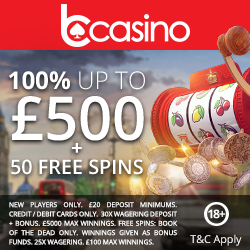 For every redeposit of £10 or more, you’ll receive a 25% cash match bonus. This means you’ll have an extra £2.50 for every £10 added, making a total of £12.50. The percentage will increase as you move through the levels on their VIP Scheme. In addition to the reload bonus they also provide weekly special promotions. These include the Friday Night Takeaway, Weekend Wad and Monday Madness. Because Lollipop Bingo value their loyal players, they offer a VIP Scheme with 5 levels (member, bronze, silver, gold and black). Each level offers bigger and better bonuses such as monthly cashback, a birthday bonus, surprise prizes and exclusive VIP Games. If you love meeting new people online then definitely check out the Lollipop Bingo chat games. You’ll have the assistance of an experienced chat host and could be lucky enough to win extra loyalty points. Points only tend to be awarded in the chat rooms, or for exclusive promotions. Who doesn’t enjoy telling their friends about any new discoveries? 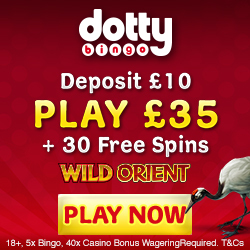 So make sure you tell them about Lollipop Bingo and if they register and wager £5, you’ll receive £5 bonus credit. Normally bingo sites limit the number of friends you can refer, but that’s not the case on this site; so get texting your mates. For those times when things go wrong or you need additional assistance, you can contact a representative via email or telephone. They accept the usual banking methods including Credit and Debit Cards, Solo and Switch. To enjoy the sweetness of these amazing bonuses and games, simply head over to Lollipop Bingo and enjoy.